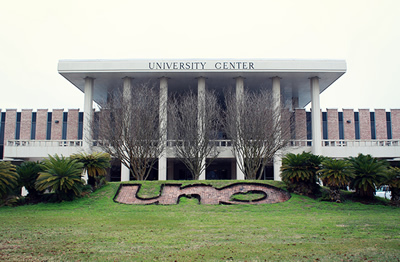 Recently a jointly sponsored international Conference AIZEN/UNO, hosted by the Department of Foreign Languages of the University of New Orleans, took place in the University Center on March 6-8, 2014. Organized by Juliana Starr, Professor at the University of New Orleans, and Anna Gural-Migdal, President of the AIZEN and Professor at the University of Alberta, the international conference held during Francophonie month welcomed one hundred participants from four continents, the Americas, Europe, Asia, and Africa – and from nineteen countries! Other than Louisiana, which encapsulates French-speaking America, other francophone countries, such as France, Belgium, Switzerland, Canada, Senegal, and Tunisia, were represented during this conference, which was conducted in French and English, thus contributing to the celebration of worldwide Francophonie. We were pleased to welcome honoured guest, Karl Zieger, Professor of Comparative Literature at the Université Charles de Gaulle-Lille III (France), who gave a keynote speech entitled “Les origines du naturalisme en Autriche: de la réception de l’œuvre de Zola à la ‘face cachée’ de ‘Vienne fin-de-siècle’,” dealing with the contested reception of naturalist ideas in Austria, and their further development and divergence. Our invited guest, Donna Campbell, Professor of American Literature at Washington State University (USA) and well-known specialist in American naturalism, gave a keynote presentation titled “Bitter Tastes: Why Women Writers Aren’t Recognized as Naturalists,” outlining who these writers were and addressing the difficulty they encountered in becoming full-fledged members of the naturalist school. The event included the orchestration and coordination of enriching cultural and social events, such as an engaging photo exhibit on “Southern Women at Work” at the UNO Fine Arts Gallery, a book exhibit featuring Louisiana naturalist writer Alfred Mercier at the UNO Library, the screening of a naturalist film made in Louisiana following hurricane Katrina, entitled “Low and Behold” (Zack Godshall, 2007), a dinner-cruise on the steamboat Natchez, and a Laura Plantation Tour, all of which enhanced the proceedings of the conference. 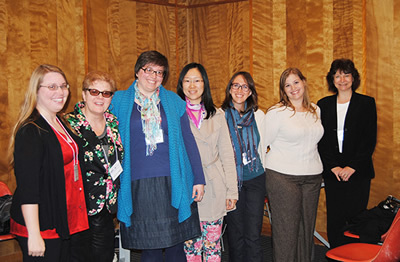 This was an intellectually stimulating and collegial conference, where participants were able to find the time to exchange ideas before, during, and after the sessions. Relations with other scholars were then often solidified in the French Quarter of New Orleans – in seafood cafes, jazz clubs, coffee shops, and courtyard restaurants. Once again, thank you to everyone – organizers and participants alike – for making the study of Emile Zola and naturalism at this conference probably the most memorable yet!